This text accompanies the online exhibition First Look: The Good Life. Join us at the New Museum for a panel discussion with artists Sam Lavigne and Tega Brain on October 6, 2017. The content of Tega Brain and Sam Lavigne 's The Good Life has survived several severe systematic cullings to make its way to your inbox. The emails of 158 senior executives of the self-doomed Enron corporation composed during its final four years were released into the public domain by The Federal Energy Regulatory Commission (FERC) in 2003. 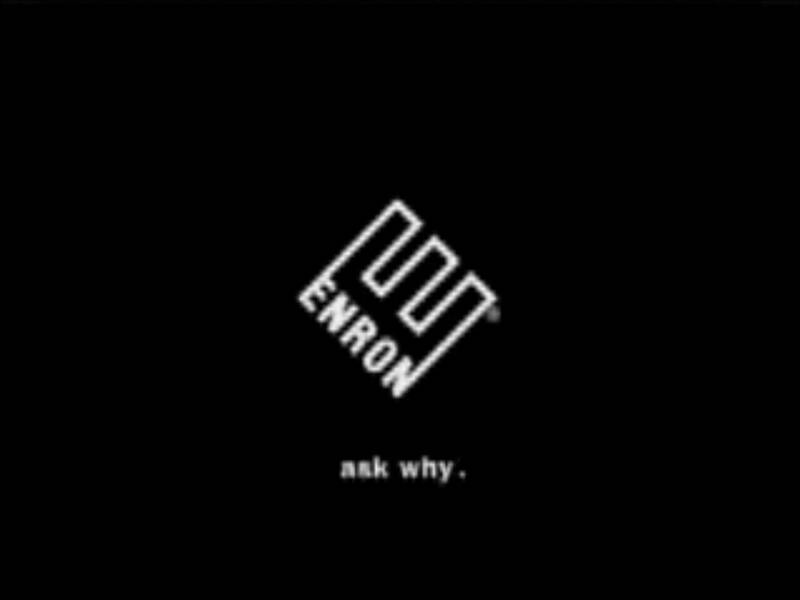 The Enron Corpus, as it has become known, then numbered at over 1,600,000 emails, but, after belated motions filed by the company, the FERC allowed emails containing "personal information" to be removed via a joint effort by Enron employees, FERC staff, and private contractors. The Corpus was further pruned and edited by various academics to address "a number of integrity problems". The Good Life originally consisted of the resultant 500,000 emails sent to subscribers over the course of 30 days, 1 year, or 7 years. Due to a "high email traffic issue" which resulted in many emails caught upstream of spam folders, the artists scrubbed the dataset further, removing many duplicates, which left a mere 225,000 emails. Scholar and writer Finn Brunton, who introduces The Good Life in a series of mini-videos, writes in Spam: A Shadow History of the Internet that the concepts of both "community" and "spam" are "zones where we can meet and negotiate about meaning." This makes us wonder if self-requested spam of The Good Life's users is actually spam; it also makes us wonder whether the portrait the Corpus paints of Enron resembles anything like a community. Brunton compares the project's scale to that of "a Balzac novel", but, unlike the author's obsession with detailing various social strata, these missives are almost solely authored by those whom Brain and Lavigne call "mostly white male corporate criminals." The emails detailing janitorial cleaning supplies are sorely missed. Brain and Lavigne’s half-serious challenge to read the emails in chronological order ultimately resembles not La Comédie humaine but rather one of our contemporary works of exhaustion, such as David Foster Wallace's Infinite Jest or Karl Ove Knausgård's interminable detailing of his struggle. As Brunton gleefully admits, much of The Good Life's content is “hypnotically boring.” Many of the emails so far slotted into my inbox are one-line nothings from “Jeff,” briefs on car rentals, or occasional “I love you”s. They offer nothing except themselves. Humans were not meant to read the Enron Corpus, though they were meant, it seems, to disseminate and analyze it, with algorithmic aid. Watching these emails slowly unload into your inbox becomes a memento mori for your mediated self, and any dreams that the online content you’ve generated could be used to resurrect it. Infinitely searchable as Your Corpus may be, it is destined to be merely the core curriculum for the cold, distant intelligences of the future, who will, no doubt, be just as a self-obsessed as any Enron exec.